When people think of Korean food, the first thing comes up would be Kimchi. It's that famous and popular. Kimchi is very spicy and smells strong that many people have hard time trying it for the very first time. 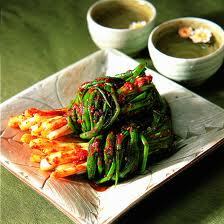 Yet once people get used to the taste and smell, they get fond of it, and would not eat Korean food without it. 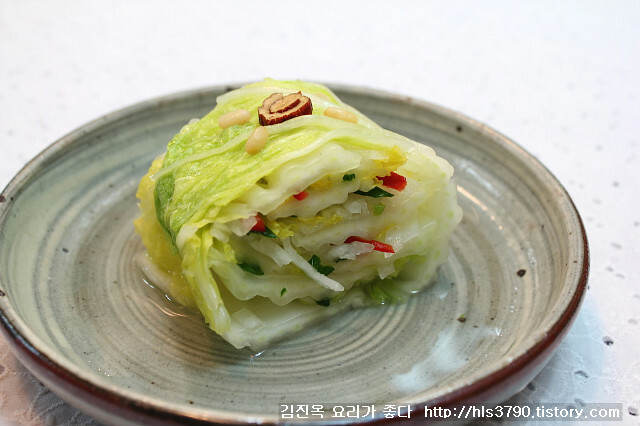 Usually Kimchi is made with salted cabbages; thanks to the popular main ingredient, Kimchi sometimes is called the Korean sauerkraut. 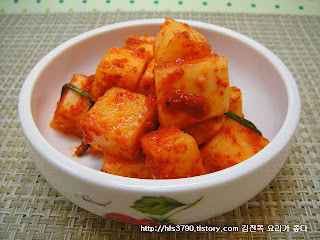 However, that is only one form of Kimchi. Kimchi can be made with radishes, beets, green onions, and many other vegetables. 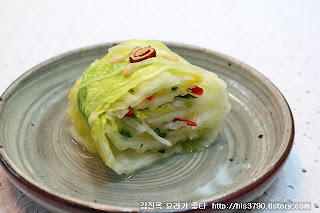 Even the most common cabbage Kimchi can be made with various ingredients, and each of them tastes different. Surprising? 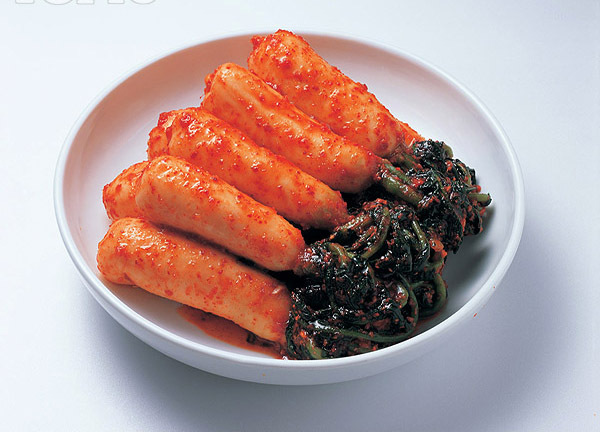 Similar to Baechoo Kimchi but without red pepper powder. 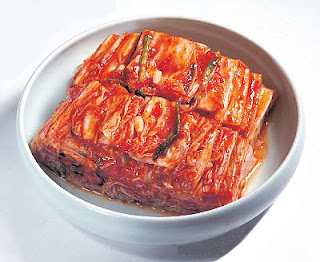 Thanks to its various forms and tastes, each type of Kimchi is served in different occasions and times. Such as Dongchimi in Picture 5 is served in hot summer days with a little bit of ice on top. 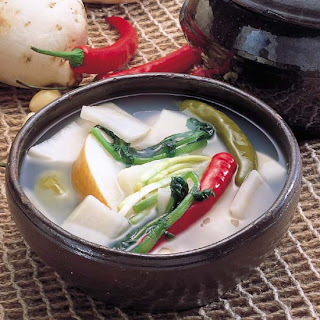 Kakdoogi in Picture 3 goes very well with beef broth-ed soup called Sulungtang.